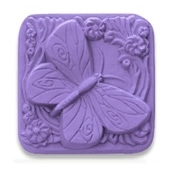 Plastic and silicone molds from Milky Way Molds, Bulk Apothecary and more. We have the best prices online for a complete line of soap making supplies. When it comes to soap molds, we carry only the finest quality, from some of the best known brands. Whether your looking for plastic or silicone molds, we have what you need at some of the best prices online. Shop our huge selection today. For larger bulk orders, please call the home office for special pricing.